Bill's book has now been released and is available from the publisher as well as Amazon. Use the links below to purchase it today. We no longer have any of the limited signed editions. 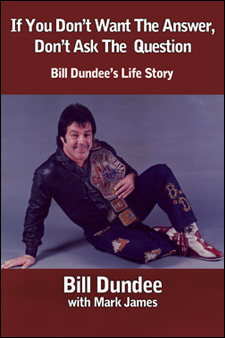 Memphis Wresting History is proud to announce the release of an autobiography from Memphis Wrestling Legend, Bill Dundee. 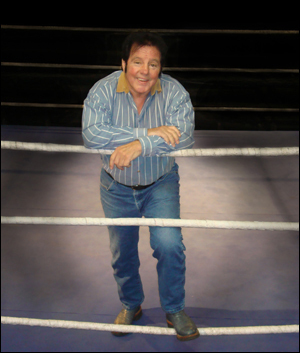 The amazing life story from professional wrestling's "Superstar", is one that has to be read to be believed. From his humble beginnings in Scotland to his taking a chance and heading off to the great unknown of Australia, it's all here. His final stop would take him to the United States and his best chance for stardom. The book covers Bill's amazing life and times. This book is written directly from Bill's own words. To say Bill is opinionated is an understatement. He has always been a straight shooter and continues to be that way today. The book comes from not only Bill's own words but from his own collection of photos from his entire life. It's a ride not meant to be missed. As a teenager in 1950's Scotland, Bill Dundee would head out with his Grandfather to do a little illegal poaching before heading to school in the mornings. At the age of seventeen, Bill set sail and into the great unknown of Australia. Soon he was working for the circus before getting his break in pro wrestling and knowing that it was what he was meant to do. Knowing that the only place to get rich in wrestling would take another huge change, Bill went to America in 1974. To quote Bill, "The rest as they say is history." If You Don't Want The Answer, Don't Ask The Question (250 pp.) is available now! It is priced at $21.99 and is available on AMAZON.COM as well as the publisher's WEBSITE. For Bill's international fans, he has not forgotten you. Go HERE to order your copy of his book.